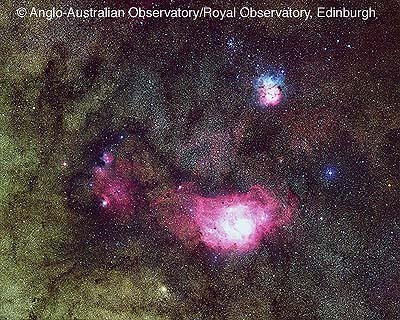 United Kingdom Schmidt Telescope image of the region of the Lagoon Nebula M8, the Trifid Nebula M20, and open star cluster M21. 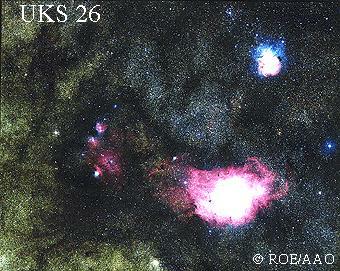 This region of the sky is an illustrative field of the Milky Way, which includes numerous other clusters and nebulae. Photograph by David Malin. Wider field image created from the same photographic plates as the above, taken with the 1.2-m UK Schmidt Telescope.